Are you looking for a unique childcare setting? Call today for a guided tour of our fabulous setting, you can experience the great atmosphere and wonderful community. We offer flexible affordable childcare, for all early years children, with government funded sessions, for 3 and 4 year olds and eligible 2 year olds. We are open from 9am to 3pm Monday, Wednesday and Friday -Term time. is managed and led by an Early Years Teacher and a primary school teacher. Both of whom are Level 3 Forest School leaders. Please see our most latest Ofsted inspection report. We are very proud of the 'Good' outcome. 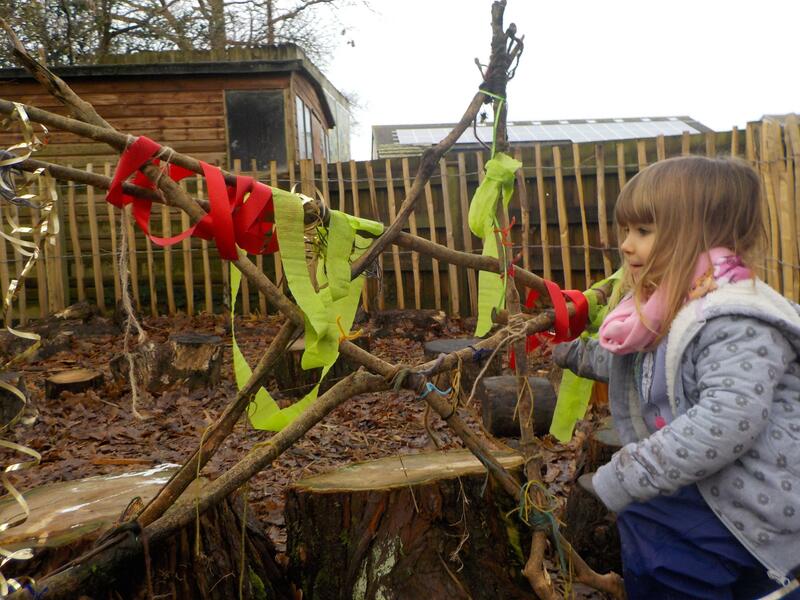 Egloskerry Pre-school provides an early years care and education provision that encompasses Forest School and the Early Years Foundation Stage framework. Enhanced by the Reggio Emilia philosophy, which looks to educate the heart and hands as well as the head. 'Staff are kind and caring, and form strong bonds with children, supporting their emotional development well. They create a calm and nurturing atmosphere where children develop a firm sense of belonging and themselves' (Ofsted 2017). As we enjoy the winter and look forward to approaching the beginning of spring, we will be exploring what happens in the natural world, with the new growth and buds developing outdoors. We have been taking part in the RSPB big bird watch and will continue feeding the birds and using our senses to observe the busy birds in our garden and at Forest School. The children are also invited to bring show and tell contributions. They all love to bring in an aspect of their home life and talk about it with their friends, which is a valuable skill for school. We have been busy creating new home learning packs for the children to play with at home. We have carefully selected some activities and games to share and the teddy bears diaries will be starting again!! We have also added some wow moment cards for you to feedback and wow moments as we really need parents and children’s voices to be heard. 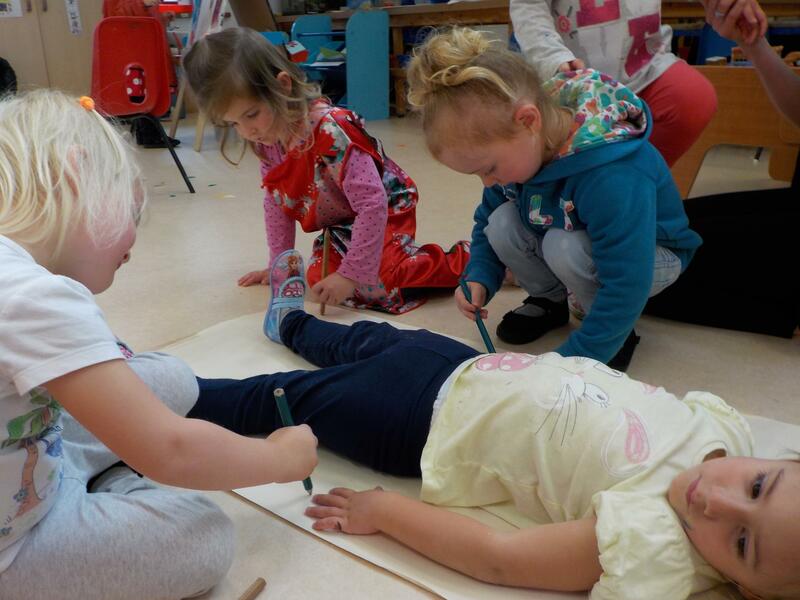 For maths skills, the children will be drawing around themselves, measuring themselves on the height chart to see how much they have grown since September, plus having a go at self portraits, to support the development of their pencil control skills and learning about ourselves. World Book Day: This year we will be taking part in World Book Day, on Friday the 8th of March. Children can wear their pajamas and bring a teddy and a favourite book, so we can settle down and read lost of books. We will then be hosting a book and bake sale at 3pm. The children will also be given many opportunities to express themselves creatively through art and craft, sensory experiences, music and physical activities outdoors. As ever we will be extending the children’s interests thought meaningful interactions, within planning and spontaneous experiences. Forest School is an exciting opportunity for the children to access a wide variety of experiences that they would not normally do. Such as; den building, carving, jewellery making, fire building, making favourite stories come to life, tresure hunts and natural crafts. Forest school is led by two qualified leaders. The children will be able to choose which activities they want to have a go at, they will be encouraged to work itogether to support each other. We are always all looking forward to new seasonal adventures. Please see Forest School leaflet for more details. 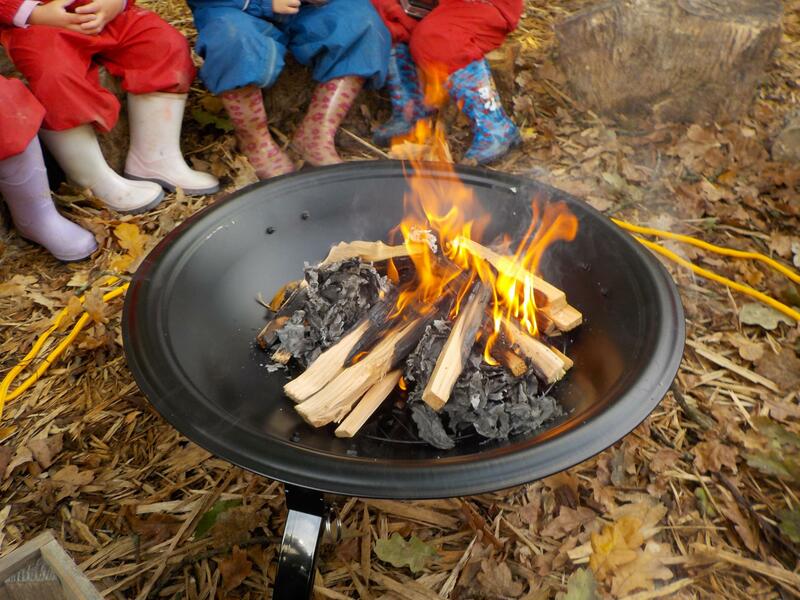 Forest School will be on Wednesday mornings this term, within our new Forest School space!! We work in partnership with Egloskerry School to provide a joined up service, empowering our children with a love of learning and the confidence to grow and move onto the next stage. Egloskerry School's website gives you just a taster of the 'Egloskerry Primary School Experience', it cannot replace a visit to soak up the wonderful atmosphere in our school. If you are a prospective parent/carer, please look at our Prospectus for more information or alternatively please contact us to make an appointment to see the school in action. Egloskerry pre-school is a rural setting, operating from a purpose built building on the site of Egloskerry School. We provide childcare for children from 2 years to school age. Our staff team work hard to ensure that each child has access to learning and development opportunities take into account the child's individual stage of development and their interests. 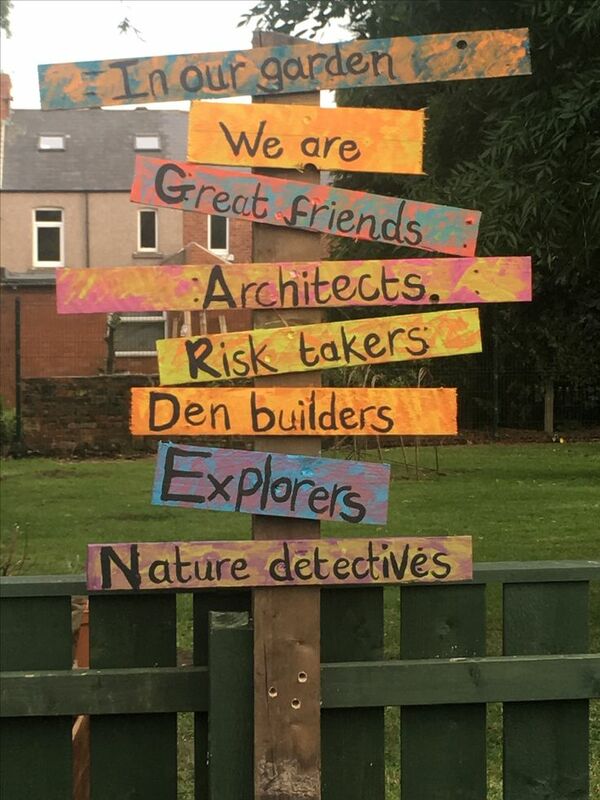 Our play environment, both inside and outside, covers the areas of learning and development specified within the Framework for Early Years Foundation Stage. We offer a stimulating approach to early years development and learning for very young children. Within a safe, friendly and fun environment, children are supported by qualified, caring staff in developing a wide range of skills and interests. The children enjoy learning through play experiences in bright indoor and outdoor play areas with exciting outings planned regularly. We aim to make the transition process, form nursery to school, as smooth as possible. By providing support, guidance and rich leaning experience’s for our child and their families. We link with school to lead an all year round transition programme, with a wide range of experiences to give each child an inner confidence for their upcoming journey. We support our families through the school application process. When the school place have been allocated we invite the class teachers to come to the nursery, where already know the children. The key person hands over the Learning Journeys with in-depth background knowledge that makes the move to school a small step. We provide a happy, relaxed and safe environment for children of any culture and/or ability to learn through play and structured activities. Children are encouraged by example and teaching to care for and respect not only themselves, but also others and their environment. We aim to increase their personal confidence and self-esteem. We actively promote positive behaviour. We aim to develop the concentration, communication and listening skills of the children, to broaden their range of experiences and to deepen their levels of understanding. We aim to develop their physical abilities. We actively promote creativity and imaginative play. We actively promote healthy eating and healthy lifestyle. We actively promote independence in the setting including personal care and hygiene. We actively promote equality of opportunity for everyone. The pre-school aims to provide a service to the local community. We encourage the children to feel part of their community by having visitors, and by occasionally taking part in visits to local facilities and places of interest in the area. We maintain a working partnership with parents, as we recognise this as being of major value and importance in a child’s education. We encourage each individual child to progress through the Development Matters of the Early Years Foundation Stage Curriculum, as set out by the DfES. To meet the requirements of these we plan extensively following the children’s interests and progression. We record each child’s progress through observation which enables us to provide more closely for the needs each child. We support every child in their development, allowing them to progress at their own rate whilst offering plenty of encouragement and praise. Activities are child led so sometimes plans change and staff are flexible. Confidentiality is maintained with the records we keep and child assessments are available for parents to read on request. We actively promote a smooth transition into school by offering joint activities and experiences each term. Ofsted reported that 'The manager and staff are well qualified, which has a positive impact on children's learning. They strive to improve their skills even further'. We at Egloskerry Pre-school are immensely proud of our staff for their passion, dedication and tireless efforts in providing a quality childcare service second to none. We believe it is vital to provide staff with an environment that encourages self-learning, promotes self-assessment and provides continual challenges to enable the person to grow. 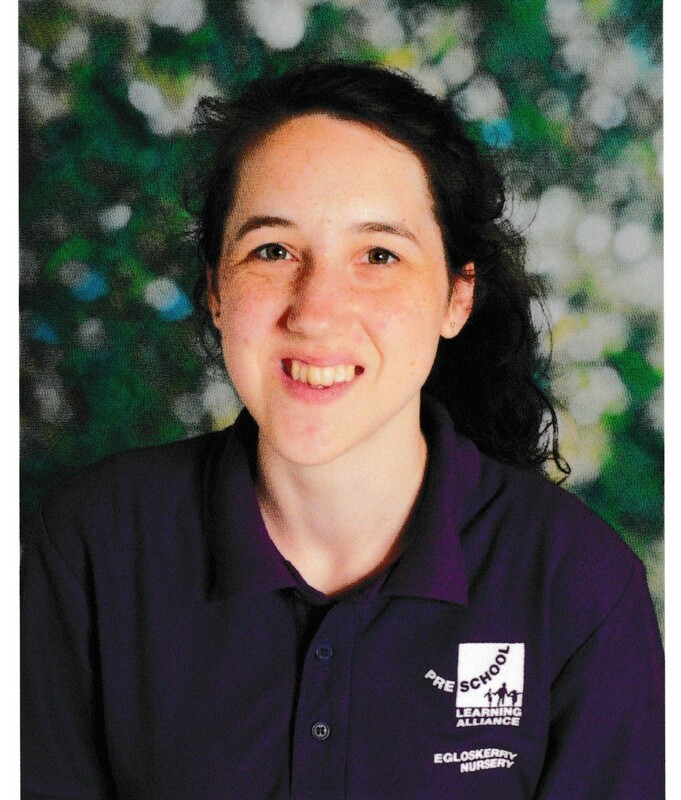 Rachel has worked at Egloskerry Pre-school since 2014. Rachel is a qualified EarlyYears Teacher with a first degree in Early Childhood Studies and a level three in early childhood studies. Also with a level three Forest School leader qualification. 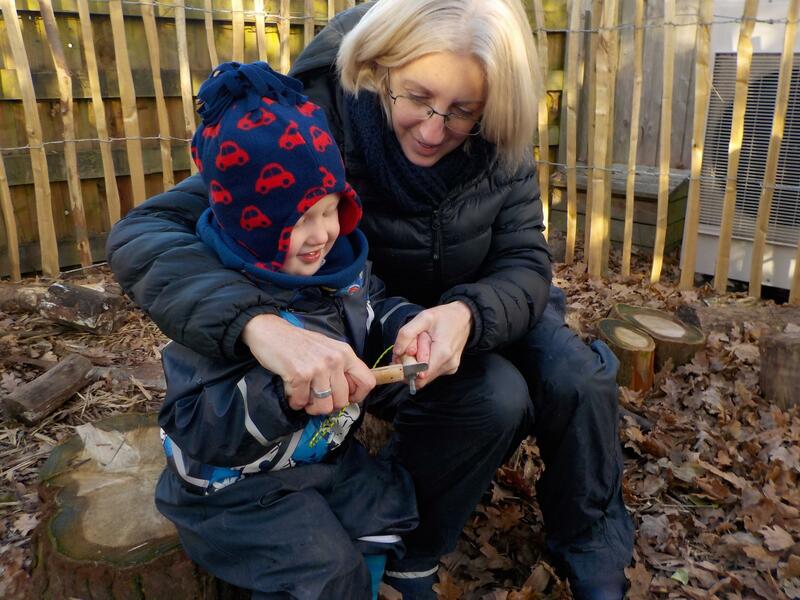 Rachel has over 20 years’ experience working in the early years sector and has a real passion and enthusiasm for outdoor education and nurturing childrens curiousity. Rachel says: "It is always a privilege to be part of the Egloskerry Nursery community, supporting the children to grow and develop and to be a part of their families’ lives. I really enjoyed working with parents and leading a team. It is my passion to provide exceptional care for children in an inspiring, warming, loving environment. " 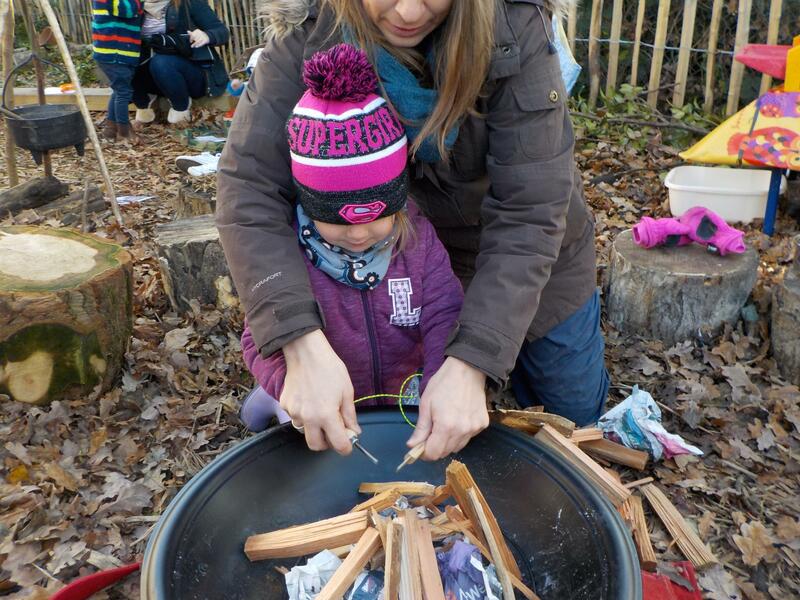 Vicky is a qualified teacher and level 3 Forest School practitioner. Vicki is ker pserson to the older children, before they go upto school. "It is so rewarding to be part of the formative development of young children as they blossom and grow into confident and knowledgeable 4 year olds. 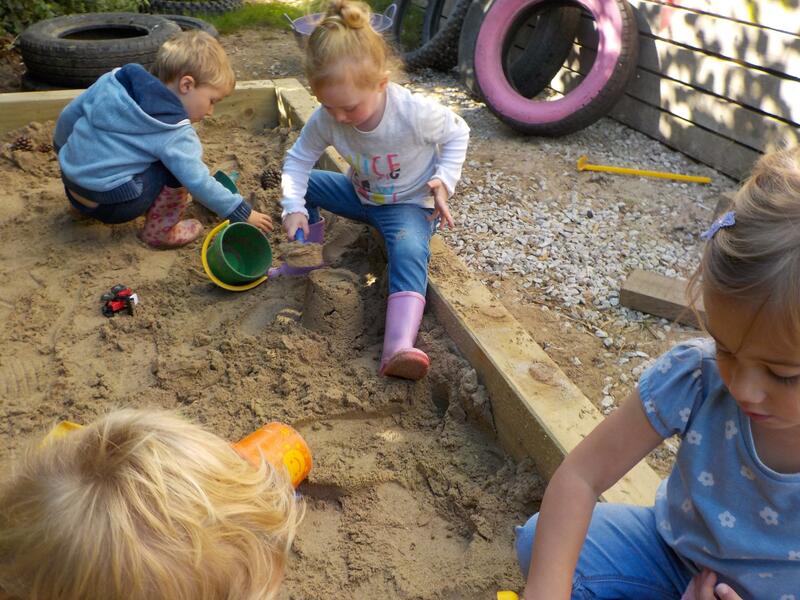 I thoroughly enjoy seeing the children learn developed through their play - both indoors and out. 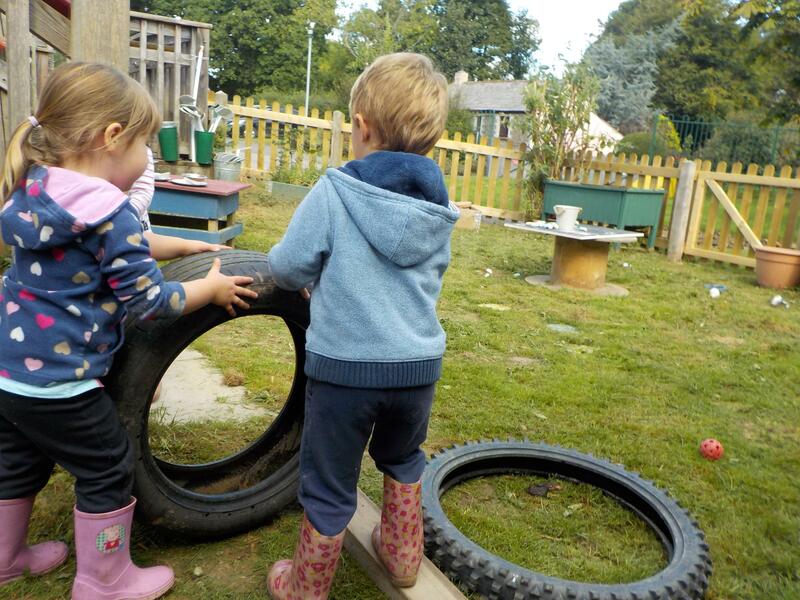 I love collecting new ideas for our planning and watching how the children explore each new experience"
Egloskerry Pre-school is an Alliance childcare service located in Egloskerry, Cornwall. We offer twenty Ofsted-registered places and is assessed as 'not yet graded' by Ofsted. Our committed, friendly and well-qualified nursery team provides high quality care and learning opportunities for children aged between 2-4 years. We follow the Early Years Foundation Stage (EYFS) with a focus on learning through play and actively encourage parents to become involved in the life of the nursery. Children aged 2 years = £16 per 3 hour session. You may be able to claim funded hours if your child is eligible for the 2 year old funding. Children aged 3 and 4 - 15 Hours are funded! Do you currently have any places available? We currently have limited spaces. Please call us to discuss your and child’s your needs. How do I secure a place at Egloskerry Nursery for my child? To apply for a place you will need to complete a registration form for your child. Get in touch and come for an initl visit, we will be happy to show you our lovely purpose built eco-preschool in action. We do accept government funding for two, three and four your olds. Children are eligible for the funding in the term following their third birthday. The funding is available for 15 to 30 hours per weeek. Yes we do. If your child is two-years old, your child may be eligible to attend the 2 year old funded childcare programme. You now need to apply for this on an individual basis. Please follow this link for further information. All members of staff are level three qualified. 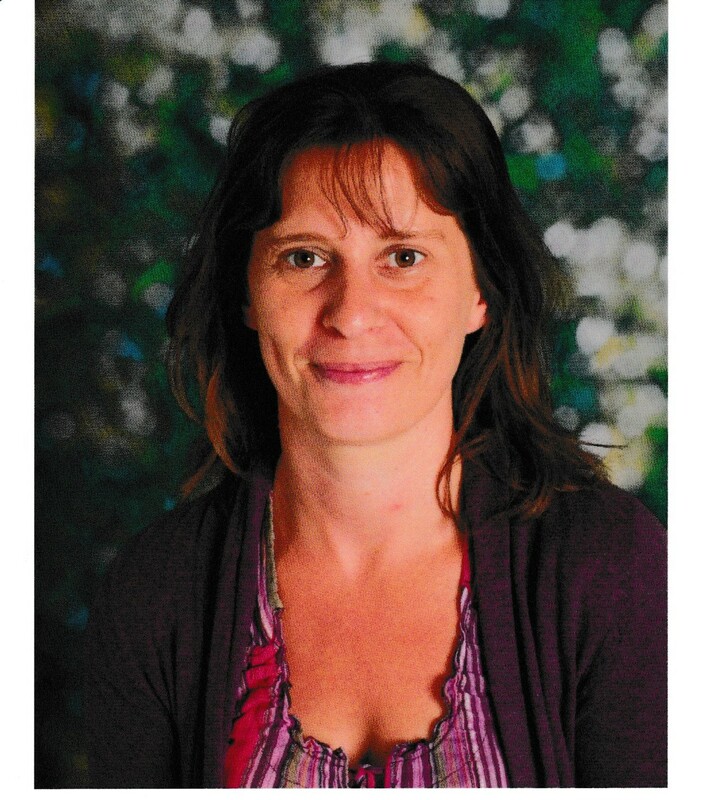 The nursery manager is an Early Years tacher and holds a BA (Hons) Early Childhood Studies and is a Forest Schol leader. The deputy manager is a qulifiied Primary teacher and forest School leader. There is always a minimum of three members of staff looking after the children at all times, we offer a consistant approach, with the same three membersof the team working every day. We also have a bank team to cover for sickness and training days. As soon as we have met and talked about your needs and made the booking. How do we support children to settle? It is vitally important that your child feels comfortable, safe and secure in Nursery. When your child begins to attend you are welcome to stay with them for as long as this takes. Some children settle more quickly with a parent or carer present and some when they are absent. Each child is different, and so each settling in arrangement is tailored to the needs of each individual child. Please feel free to discuss such arrangements with the Nursery manager, along with any concerns or questions you may have. Appointments can be made if more time is needed. Staff are also available for discussion before and after each session and during parent consultations. A key person is a staff member of the preschool who will work with your child to understand him or her as an individual with unique traits, characteristics, strengths and learning opportunities. This person will work with you to ensure your child gets the most out of preschool with tailored learning and care. Ofsted satated that 'Partnerships with parents are good. Staff facilitate an effective two-way flow of information to successfully involve parents in their children's learning. Children benefit from a consistent approach to their care and learning'. statutory standards - all early years providers like Polstead Preschool must meet these standards in order to enable young children to make the most of their talents and abilities. non-statutory guidance - the EYFS provides guidance to early years providers on how to ensure a quality early years provision. Looking for high quality affordable childcare for 2019? You are invited to a tour of our purpose built eco nursery in Egloskerry, to find out more about our fabulous early years care and education. 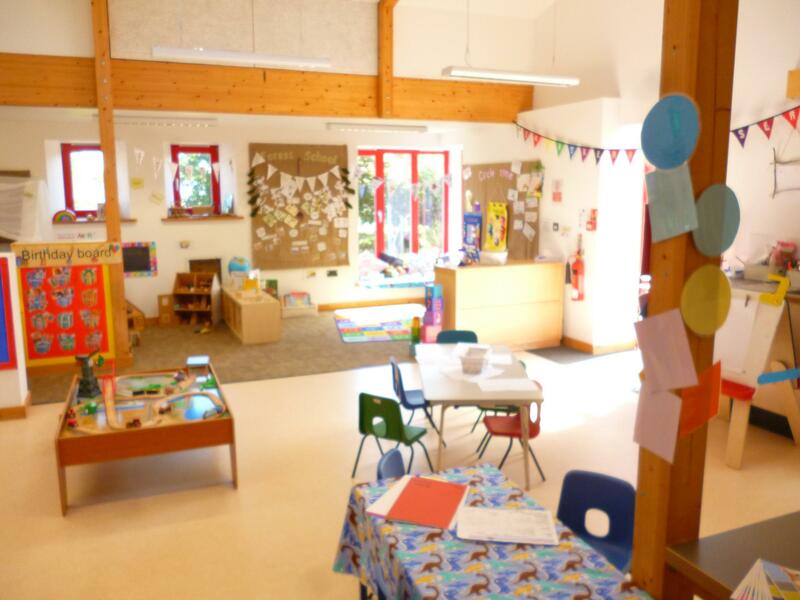 You will be given a tour of the nursery, our state-of-the-art facilities and new Forest School space, as well as the opportunity to talk with the team, get a feal for the place and learn about the unique service we offer. We are aware that choosing childcare for your little one can be a difficult and sometimes confusing process for young families and would like to provide information and opportunities to help you with your decision making. Fantastic Nursey. My daughter started when she was 2 and they went above and beyond to help her settle in. She really loves going. Friendly helpful staff. Lovely environment. Lots of activity for the children, my daughter especially loves Forest school. Really good communication between staff and parents. You can see the staff really care for the children and with the Learning Journey books, you can see your child's progress. "The day we decided to send our daughter to Egloskerry Nursery was the best decision we ever made. Our daughter has learnt so many new skills, grown in confidence, loves the staff, the environment and looks forward to going every day! Both myself and my family are very impressed with her progress and how she is developing and we have nothing but praise to all the staff for all their hard work and dedication". "My child has loved her time at Egloskerry Nursery, coming from a different nursery and asking to attend Egloskerry full time. The staff are friendly and the building and facilities are great.Lots of activities done on day to day basis which my child has really enjoyed, for example, forest school and baking. All in all, a great nursery and would recommend." "We have had such a positive experience with Egloskerry Nursery. It has provided a warm, nurturing environment for our child to develop in. The staff are friendly and the activities are well thought through. 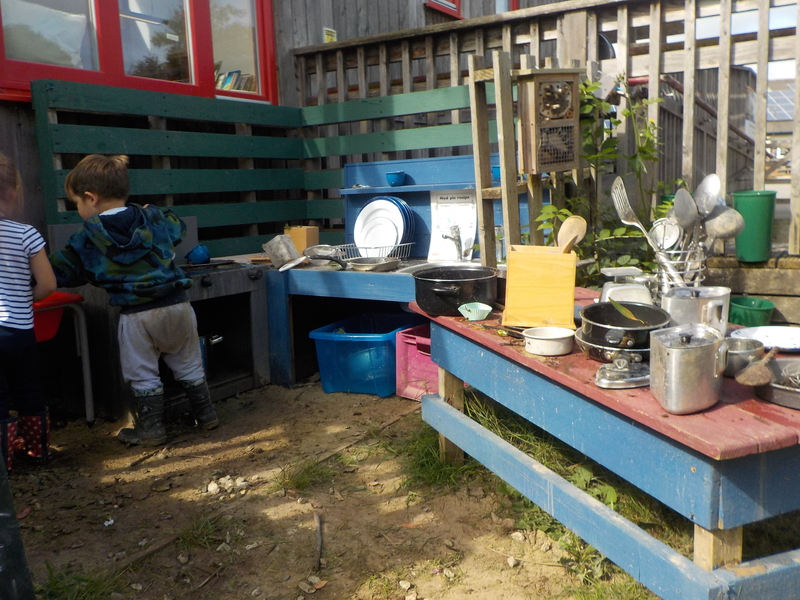 We particularly love the encouragement of outdoor learning through the 'Forest School', mud kitchen and outdoor play. We have no hesitation in sending our next child there in a couple of years." 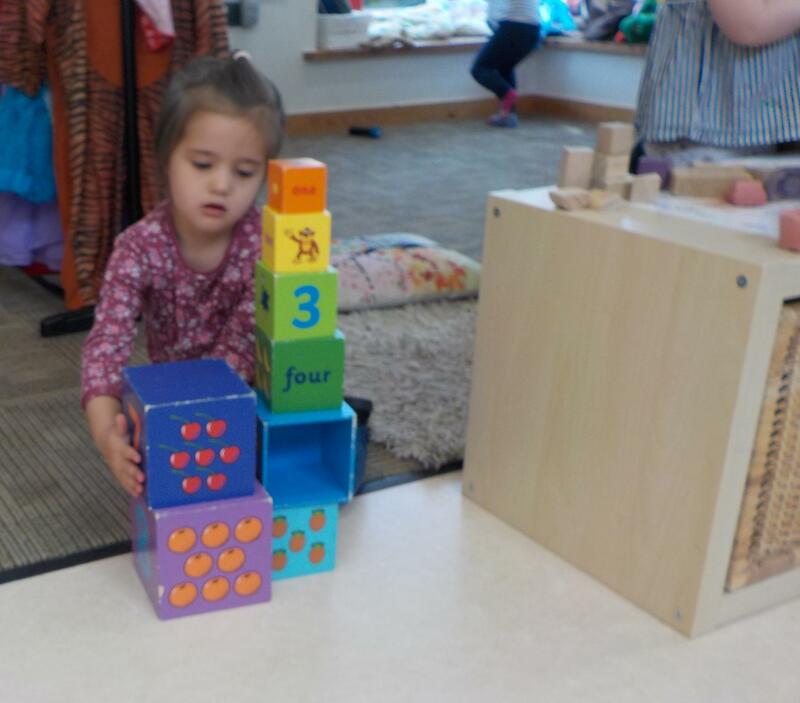 "I feel my child has really developed her social skills by attending the nursery. She has loved going to each session and looks forward to going next time. The forest school sessions have been particularly enjoyable. It is a safe, fun space to explore with new play set ups. I will be sending my second child there in September." "My son absolutely loves going to nursery, it has significantly increased his social and development skills. Staff are very good with the children. They take the children for walks in the fresh air to visit the park and have a great outdoor play area. He loves Forest School Fridays. Very pleased with the service." "A very friendly environment for my little one. He really enjoys going to nursery. Spacious room and lots of activities for the children. Great outdoor space and garden. Staff are hands-on and know the children well."